Achieving Blackness offers an important examination of the complexities of race and ethnicity in the context of black nationalist movements in the United States. By examining the rise of the Nation of Islam, the Black Power Movement of the 1960s and 1970s, and the "Afrocentric era" of the 1980s through 1990s Austin shows how theories of race have shaped ideas about the meaning of "Blackness" within different time periods of the twentieth-century. Achieving Blackness provides both a fascinating history of Blackness and a theoretically challenging understanding of race and ethnicity. Austin traces how Blackness was defined by cultural ideas, social practices and shared identities as well as shaped in response to the social and historical conditions at different moments in American history. Analyzing black public opinion on black nationalism and its relationship with class, Austin challenges the commonly held assumption that black nationalism is a lower class phenomenon. 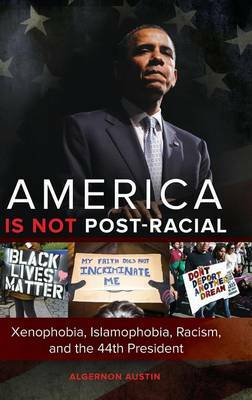 In a refreshing and final move, he makes a compelling argument for rethinking contemporary theories of race away from the current fascination with physical difference, which he contends sweeps race back to its misconceived biological underpinnings. Achieving Blackness is a wonderful contribution to the sociology of race and African American Studies. 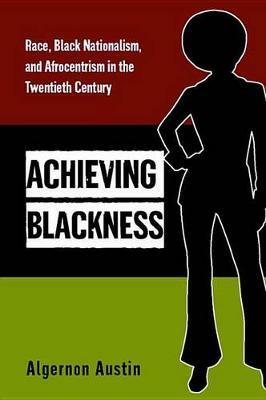 Buy Achieving Blackness by Algernon Austin from Australia's Online Independent Bookstore, Boomerang Books. Algernon Austin is Director of the Thora Institute.